The high point of President Muhammadu Buhari’s inaugural speech for me was his focus on the rescue of the #ChibokGirls as a priority. Of course, to do so, and to ensure the security of embattled Nigerians in the Northeast, he also has to defeat Boko Haram, and this too was identified as a priority. The dismal state of our country’s economy has to matter to any government that has Nigeria’s interest at heart, and I’m happy that our new President has prioritized this as well. The fuel and power crises, the grand decrepitude of our infrastructure, rampant, intractable unemployment and underemployment and all the focal areas that were emphasized as important are indeed worth prioritizing and tackling with passion, focus, tenacity, skills and imagination. For identifying all these objectives, I thank our new President. I remain firm in my conviction however that the declaration that he will rescue our #ChibokGirls is like music to my ears. This is a serious man with stellar antecedents, and I take him seriously. 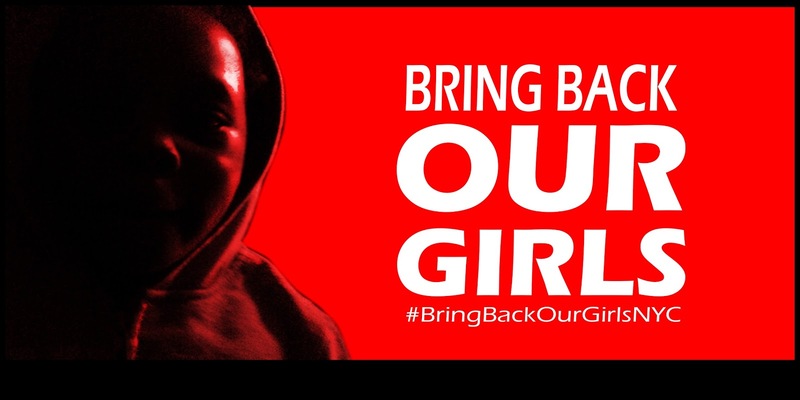 So do my fellow #BringBackOurGirls sisters and brothers who have struggled for over a year to get the Federal Government of Nigeria to rescue our girls and reunite them with their families. Nigerians are ready to embrace hope. We want to cherish freedom and embrace democracy. President Buhari’s speech in that regard, hit the spot. We are still in the throes of a petrol crisis that has generated a power crisis, transportation crisis and tremendous financial crises. And given the dire straits that we are in, it was a wonder that the President in charge at the time, President Goodluck Ebele Jonathan made no public statement that expressed concern or proffered solutions to the new low that the economy had sunken into. It is at the very least, highly objectionable that President Jonathan also didn’t talk much about our Chibok girls, and gave us no idea that so many of our fellow citizens had been carted away by Boko Haram. Nor did Boko Haram appear to be seen by our President as a serious problem that should be fought with determination, tenacity and resolve. It didn’t appear to bother our President that a vast swath of land was taken over by the insurgents and millions of our citizens were thrown into a maelstrom of chaos, traumatized by death, maiming, loss of property and lives, displacement and even becoming refugees in Chad, Niger, and Cameroon. It is of great concern that there was scant acknowledgment of the danger that Boko Haram posed to Nigeria’s territorial integrity and the wellbeing of many of its people. Salaries had not been paid to civil servants in many states for months. No word about it from our President. By the way, I am aware that the President does not bear primary responsibility for the non-payment of state civil servants’ salaries, but it remains part of the duties of a caring President that such a widespread anomaly should evoke a response that seeks to broker a workable agreement that resolves the problem. Silence while golden, quickly tarnishes when it symbolizes consistent acts of omission. Such acts of omission signal to offenders that they should carry on business as usual. This is not the kind of response that Nigerians needed from their President. Corruption has also eaten deep into our body politic. President Jonathan’s administration did very little to curb it. As a matter of fact, it became a veritable monster that rampaged through our nation, leaving destruction in its wake, although a few well connected people benefited and they flaunt their ill-gotten gains with great hubris. One bright light on the horizon of contemporary Nigerian politics is President Goodluck Jonathan’s concession to the new President, Muhammadu Buhari. President Buhari is right in saying that that singular act made us Nigerians throughout the world proud. Our country unfortunately has a history of churlish contenders who refuse to concede defeat and the consequent deleterious effects on our political relations. So it’s important to give honor to whom it’s due. Nigeria through President Goodluck Jonathan’s compliance with the spirit of democracy, according to President Buhari, surprised the world that tends to expect the worst from Nigeria that this is not our norm. We can cooperate and doing so contributes to the deepening of our fledgling democracy. The electioneering was turbulent, vitriolic and negative. Now we have a chance to mend fences, embracing a hopeful strategy of reconciliation that determines to collaboratively rescue our country from the brink of economic and social disaster, using political tools. For this delicate task, we need a wise, steady, ethical and just leader at the helm of the Federal Government of Nigeria. President Buhari has an opportunity to keep our collective Nigerian hope alive by being a man of his words. He has said he cannot perform miracles, but rescuing our #ChibokGirls is not necessarily a miracle. It is doable. We have a huge military apparatus and just need to root out the corruption that has been allowed to fester and weaken it. We need to re-inject professionalism and rebuild esprit de corps. We need ethical and moral probity and fortitude in the armed forces and indeed in all our institutions. We can do all these corrections if we put our minds to it. There are many offers of help from the U.S. and U.K. as well as I’m sure other powerful countries the world over, who will renew these vows because they want access to our huge market, and want to connect with the country with not only the largest population in the continent, but now its largest economy. We should draw up our own agenda, be willing to accept help, but we should also be wary of deep entanglements that would exploit rather than help us. Given his past performance I also believe that President Buhari is up to the task of protecting Nigeria’s sovereignty. Don’t get me wrong, I am happy too that help is being offered because we in Nigeria have been very lax in collecting intelligence and taking the fight to Boko Haram and we now need to refocus, regroup, reorganize, strive harder, and harness our collective energies to put our country in order. For me, the rescue of our all #ChibokGirls alive and their reunification with their families is a necessary first step to reclaiming our nation’s tattered reputation and walking the difficult road back to realizing our full potential. We can do this if we put our collective minds to it. God bless Nigeria and all Nigerians.